During timeshare presentations, it is very likely that the salespeople will you give loads of verbal promises and attractive gifts for you to sign the contract; one of these promises is the possibility to exchange your timeshare with another owner. They will tell you that you will be able to travel anywhere in the world with your timeshare. If timeshares were such a big deal, why there are so many people who feel they were scammed and are trying to get rid of their ownership? Learn more about exchanges and the real possibilities to travel with your timeshare. An exchange is a one-time trade for time in a different resort. This process offers timeshare owners the possibility to experience and travel to new destinations around the world, however, an exchange is easier said than done. Not all exchange companies are legitimate: Timeshare industry is full of fraudulent companies; therefore, customers should be cautious about it. Exchange costs money: exchange companies charge an annual membership fee, which needs to be paid before you can even accomplish an exchange. Direct Exchange: A direct exchange is when you trade your timeshare owner to owner. This is the most basic and cost-effective way to make an exchange. This process requires finding another owner who is willing and ableto trade their week for yours. Once you find someone, both parties should notify the timeshare company to get a guest pass for the family who is staying at the resort. There are several websites where you can list your timeshare to find people who are interested in direct exchanges, such as Craiglist and Timeshare Forums. Exchange through the Resort: There are some timeshare companies that offer an exchange program, but just with their specific group of resorts. Hotel chains such as Mayan Palace in Mexico and Westgate in the US have this program. Timeshare Exchange Company: A company allows you to announce your week with them, and you can also choose from their inventory of weeks that other timeshare owners have listed. The largest exchange companies in the world are RCI (Resort Condominiums International), II (Interval International) and DAE (Dial An Exchange). If you want to make the timeshare swap faster and easier, consider joining a timeshare exchange network to list your timeshare online. All important information such as the name of the resort, the location and the exchange week must be provided. Make sure to upload photos of your timeshare. The pictures must be colorful and attractive. Make an inventory of everything in your vacation ownership. This is to prevent any kind of problems. Contact a lawyer and draw up a rental agreement to protect you and the other participants of the timeshare trade. 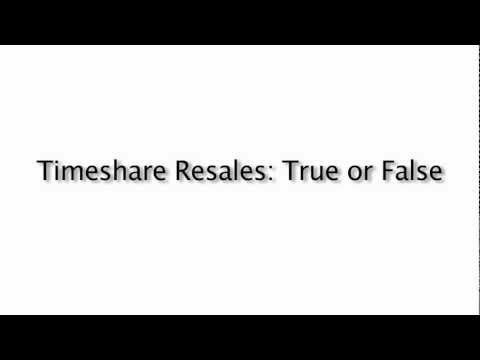 As you may know by now, a timeshare exchange is not easy to be accomplished; in fact, there are many timeshare owners who have been trying to exchange their timeshares for years without a success. If you, or someone you know, own a timeshare unit you feel it was sold under unethical matters, or you’re not able to use anymore, or pay the ever increasing timeshare maintenance fees, contact Mexican Timeshare Solutions to get a free consultation on your timeshare problem. At MTS, our goal is to assist timeshare purchasers who feel they were scammed or taken advantage of by fraudulent salespeople and deceptive sales practices. As specialists in the timeshare industry, we are committed to offering timeshare help in a fast, friendly and experienced service to clients. Contact us today for a free consultation and get rid of your timeshare as soon as possible! You have nothing to lose, except your timeshare! me encantaria hacer algo asi, no se si pueda hacerlo con mi tiempo compartido, ustedes pueden asesorarme con respecto a esto? i think it's not fair that you have to pay before you can get your timeshare exchange :/ because it's possible that you'll never be able to use it! i would like to try this method, what i have to do?